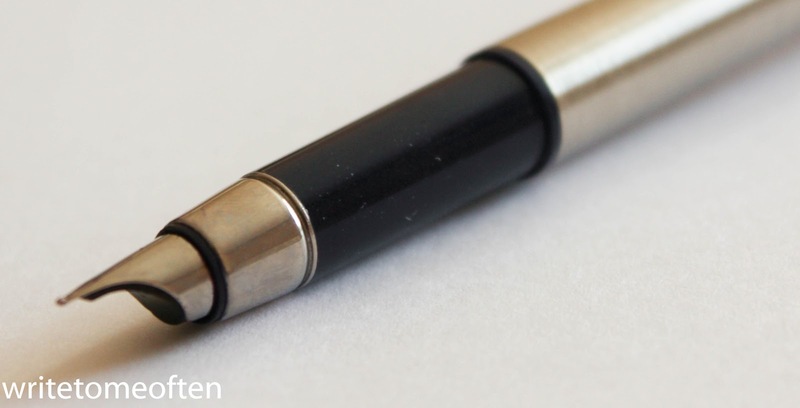 Pen is quite simple with all its metal body and cap it feels sturdy in the hand. Upper part of the body made slimmer than the rest of the body. However when the cap posted, this difference conceals. 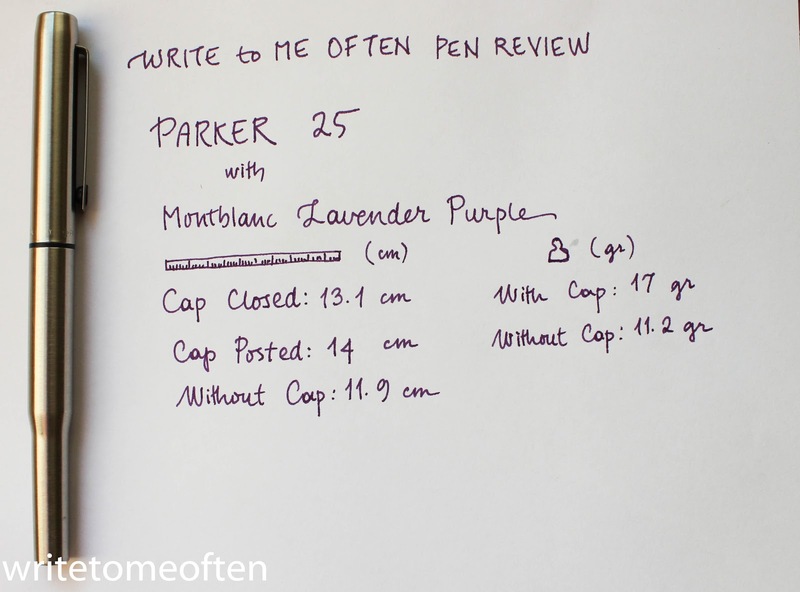 Since Parker 25 weights only 17 gr with cap it is lighter than Monteverde Prima which weights 18 gram without its cap. 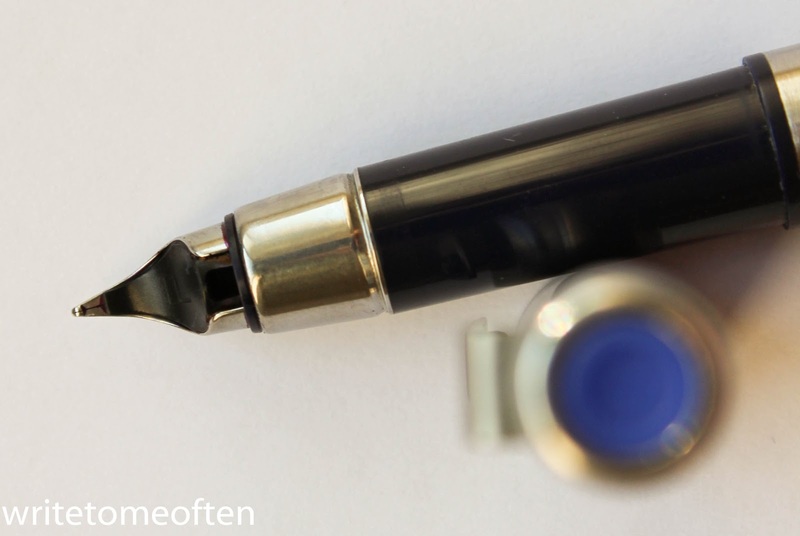 Grip section of the pen is made of navy colored plastic. It provides a comfortable grip. Normally the dents or bulge at the place where grip section and nib convenes makes me uncomfortable. I didn’t feel such a disturbance with this pen. Parker 25 has a ring type nib. 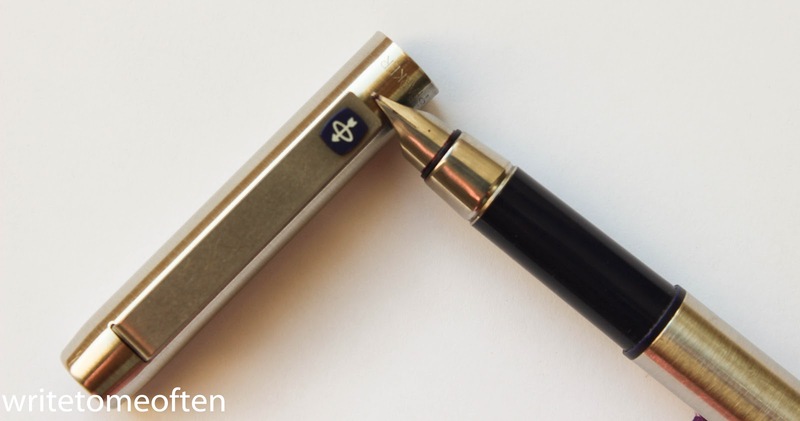 You can remember this nib type from Lamy Lady. It has a blue plastic top jewel on the top of the cap where it is genearlly made of natural stones in expensive pens. Overall, this pen was in really bad condition when it came to my hand. God knows how many years passed with the dried ink in it. However, after a good flush it performed very well that even surprised me. There is no problem at the ink flow, no skipping, no scratchiness. It provides a nice writing quality. In fact, I showed a tendency to finer nibs after that F nib Parker 25. I don’t know the price of this pen. However, it is listed on e-bay. If you want to take a trip down to memory lane where Parker was a symbol of quality, Parker 25 is a good option to cherish.